​A sustained campaign to discredit the fight against corruption that has been taking place in Romania is currently intensifying in British media. The campaign defends a Romanian businessman, Dan Adamescu, who last year was sentenced under corruption charges and his England-based son, Alexander Adamescu, who refuses to answer to bribery charges and fights extradition to Romania. The campaign, involving top media titles such as The Telegraph and The Guardian, gets a boost as an April deadline when British judges are due to decide on an extradition request regarding Adamescu Jr.. And the campaign find support in other European media, including talk that Adamescu newly-found "Jewish origin" may have relevance in the case. The Guardian on Tuesday was the latest major British newspaper to publish an opinion article on the issue, after The Telegraph a day before, a British NGO's report last week blasting the fight against corruption in Romania. Those came after months of regular articles in Western - especially British - media on the same issue: the case of Alexander Adamescu and its alleged relevance in the British debate, part of the larger Brexit issues, on the European Arrest Warrant. With one exception, none of the latest articles presents an independent depiction of Dan and Alexander Adamescu, focusing their features on the two's own side of the story. Nor do the articles offer relevant details about the charges against the two, or about issues such as their involvement in a spying scandal known in Romania as the "Black Cube affair", an involvement which the two dismiss categorically. Dan Adamescu is a Romanian insurance, real estate and media businessman who last year received a 4-year sentence for bribing judges in order to obtain favorable court verdicts in cases related to his insolvent companies. His son, Alexander, who is currently settled in Britain, was also charged with bribing judges. He was retained in London in June last year, but freed on parole. He is now waiting for British judges to decide in April on an extradition request based on the European Arrest Warrant. The two are part of a large group of prominent influential Romanians, including business people, media owners and politicians, including former prime ministers, who have been targeted by a concerted campaign against graft run by Romania's National Anti-corruption Department (DNA). The fight against graft has been facing major resistance. In one instance, it has come to light that a British-based Israeli firm, Black Cube, has been hired to spy on DNA chief Laura Codruta Kovesi. Later last year, documents obtained by Hotnews.ro showed that Dan Adamescu had prepared a contract with Black Cube for such activities. 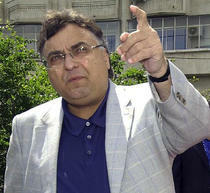 But the Adamescu family rejected any involvement in the affair. Starting last summer, British media started to publish articles depicting Alexander Adamescu and his family as "victims" of "abuse by anti-corruption prosecutors in Romania". The articles claimed that the Adamescu's were targeted because of the newsper they owned, Romania libera, and blamed a scheme involving the DNA, the secret services and political parties for Adamescu Sr's arrest. The real charges were hardly mentioned or explained in these stories, which systematically criticized the European Arrest Warrant, used in Adamescu's case. "Romania's corruption fight is a smokescreen to weaken its democracy" is the headline of the latest newspaper - The Guardian - to publish an article on the issue. The opinion article, published on the Guardian website in the World/Europe section, is signed by David Clar, a former Foreign Office special adviser currently working as a "freelance foreign policy commentator and consultant". The articles comes days after British foundation The Henry Jackson Society published a report signed by the same David Clark, harshly criticizing the ways of the fight against corruption in Romania and giving Dan Adamescu's case as an example to support his claims. The report suggests UK should change its stance on the European Arrest Warrant. HotNews.ro (link to Romanian language article) has reported that David Clark is a political and communications consultant who has long been involved in defending Adamescu's case abroad. The Guardian article claims that while DNA's dealing with Romanian graft has been praised at EU level, the reality is different as the DNA "is abusing its power and reverting to communist-era methods to serve its own interests and pursue political vendettas." It exemplifies his arguments with Dan Adamescu's case and claims that "the only evidence against the younger Adamescu appears to be that he has continued to campaign for his father". No word about the charges brought in the bribery case and the prosecutors' arguments. This article was a published just a day after another British newspaper, The Telegraph, published a report in which Alexander Adamescu's wife, Adriana Constantinescu, claimed to have been targeted by the "Romanian state" in a kidnapping attempt. The article provides what appear to be pictures from a photoshoot of the two for the newspaper and is based almost exclusively on their side of the story, providing only general background about the fight against corruption in Romania. The key message is, again, that "controversies" have risen about the European Arrest Warrant, which can be "abused". These British newspaper articles are not the only ones to support Adamescus' case in international media lately. On Friday, the European Jewish Press published a blasting article signed by journalist Eldad Beck, which depicts Dan Adamescu in favorable light and claims he was "businessman of Jewish origin". It is one of the few international media articles referring to the Black Cube affair, but puts it in a totally different light than what Romanian media has reported so far: "a Romanian businessman of Jewish origin, Dan Adamescu, was accused of activating the Israeli company in order to foil the DNA’s investigations against him. In retrospect, it transpired that it was the Romanian governmental arms which were behind ordering the surveillance against the Head of The Anticorruption Directorate in order to incriminate her". "Alexander Adamescu emphasised that despite the fact that he and his father are German citizens, the family’s appeals to the German Minister of Foreign Affairs, Frank Walter Steinmeier - a member of the German Social Democratic Party and its candidate for the German presidency - and to the Chancellor’s Bureau, requesting to act against the "political persecution" of the family members, remained unanswered. According to relatives of the Adamescu family, "The Germans pressed Romania’s government to prove its commitment to the anticorruption struggle, the new Communists captured a problematic Jew who was presented as a fat fish and the head of a corruption network, and the Germans were satisfied". The article, again, leads to the same European Arrest Warrant as a background issue. A Voice of America report criticizing the European Arrest Warrant (EAW) and defending the Adamescus, following Adamescus' lobby actions in the UK last June. A June 2016 article by Peter Oborne, of The Telegraph fame, for The Daily Mail arguing against the EAW in the Brexit context, providing Adamescu and the "trumped up charges" against him as an example. A The Telegraph article in December 2016, calling Adamescu "innocent" and the target of "unscrupulous foreign politicians" who can "exploit the British justice system to pursue their own agenda" by means of EAW. All this concerted campaign comes as the Adamescu's had found support in international mainstream media before - especially by means of opinion articles received by newspapers from outside their respective editorial staff, sometimes signed by lobbyists. 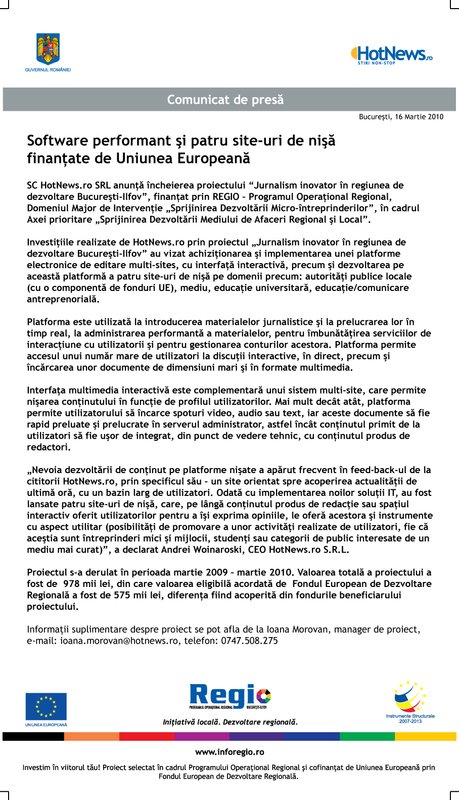 Such an opinion article was published by the New York Times in its op-ed section (link to Romanian language article on HotNews.ro) in 2015, signed by a lobbyist involved in multiple controversial projects. (This article is a version of the original article published by HotNews.ro in Romanian language on Tuesday).